Most people don't like folding and putting away washing, like washing up its an endless task. 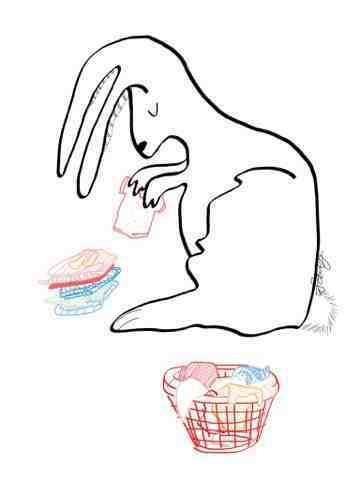 To be honest bunnies are busier that most (doing Bunny type things) so when Washing Day comes round it's a sad sight in the burrow. Spare a thought to the teeny tiny piles of bunny clothes and a lone folder dreaming of an empty basket.